A nice straight but blind driving hole. Long hitters beware, a lake waits at 270 yards from the back tee. 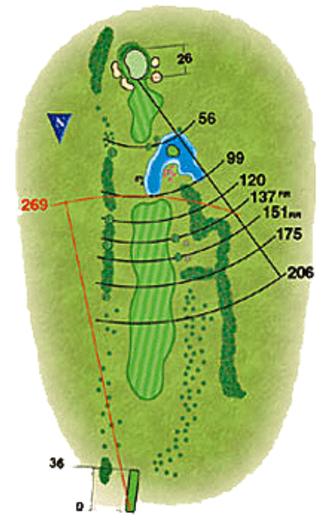 A tee shot down the right will require a high shot played over a tree beyond the lake. Playing to the left side of the green will leave the easier putt.